I had had a vampire story in DAILY SCIENCE FICTION, “Naughty or Nice” on December 21, 2011 (cf. December 28 and 21 2011, et al. ; also for a review, May 5 2012), but it was more a tale for Christmas. So this is the one that preceded that one, a story of body modification — well, in a sense anyway — and the dangers of smokin g marijuana, especially good stuff. 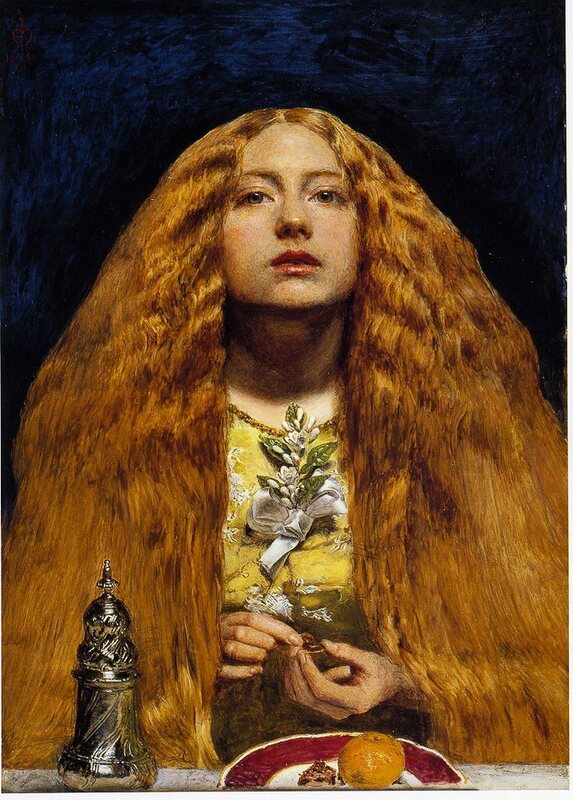 Yet it is also a story of a woman, Drusilla, who shies away from the sun. As she says herself, “We used to laugh that I might be a vampire.” So one can’t get away from them entirely. But this is a tale of other things too, such as what cheeses go best with amontillado and why Victorians sometimes bronzed babies, called “Killer Pot” (cf. August 16, 9 2011), a tale of a couple who once were lovers and still are good friends, first presented on DAILY SCIENCE FICTION on August 9 two years ago. A story for summer as much as fall, and not so much a horror story as such unless in a bizarro sort of fashion. Be that as it may, Halloween is a magical time and chills will occur in any season, and whatever events might come today in terms of sales or publications, or contracts or editorial requests, or whatever else can wait for tomorrow. For today a gift for the reader — a lagniappe for Halloween for those with a taste for the outre. And so, to read “Killer Pot” please press here. And so another major book is out in time for Halloween! 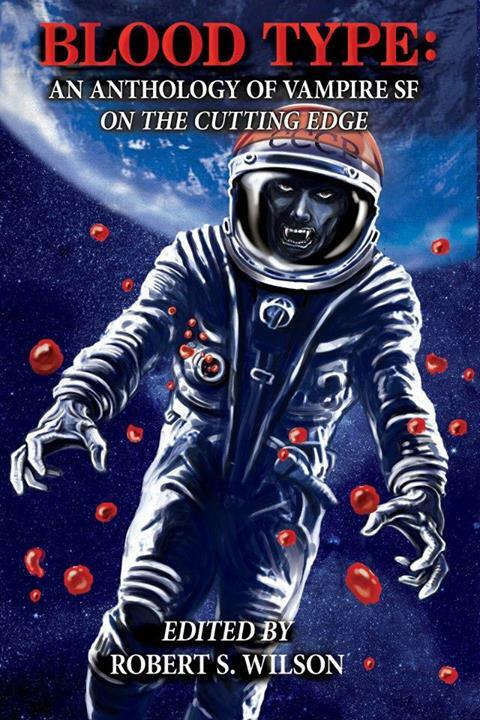 BLOOD TYPE: AN ANTHOLOGY OF VAMPIRE SF ON THE CUTTING EDGE (cf. September 7, July 23, 18) has been released in a Kindle edition, with the print version to follow shortly according to Nightscape Press editor Robert Shane Wilson. Promised to be out on Devil’s Night, the Eve of Halloween (thus the eve of an eve, but let’s not get technical), it can be obtained — as well as more information found — by pressing here. Moreover, profits earned by BLOOD TYPE will be donated to the Cystic Fibrosis Trust, for more information on which one can press here. See it all by pressing here: the latest of course on THE TEARS OF ISIS, but also a note on my most recent story as well as things I may have planned for the future. And questions, more questions, and the answers to them. Candy for the mind, as it may be, revealed for you in these final few days before Thursday and Halloween. Then, moving to Christmas, this year’s second Christmas tale taken by a non-holiday themed anthology (for the first, “The Match Story” in Third Flatiron Publishing’s PLAYING WITH FIRE, see June 2, et al.) 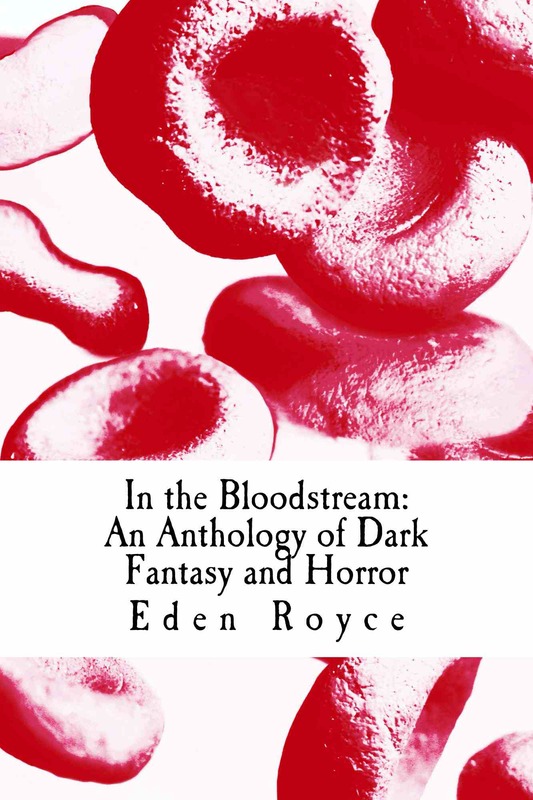 has just been published in IN THE BLOODSTREAM by Mocha Memoirs Press. “In fiction,” to quote from Compiler Eden Royce’s introduction, “the writer is faced with a challenge of how to create chills and disturbia without special effects. Here [as opposed to in film] there is no visual shorthand to rely on. Whether the author intends to install fear, revulsion, or awe, they must do so with the proper choice of words, crafting the scenes they’ve chosen into clear pictures for the reader. “Nowhere is this truer than in short fiction. Less space means more decision, more honing, more editing down to the bare essence of what must be kept to tell the story best. What doesn’t add to the story is struck down, ruthlessly cut out. Only keep what cuts closest to the bone. Be that as it may, my own contribution is an original piece of Lovecraftiana — crossed with Charles Dickens’s A CHRISTMAS CAROL — called “A Christmas Carnage” (cf. September 23), in which we learn among other things why a scholar might keep a chainsaw in his closet, and what not to ask The Ghost of Christmas Present. More information can be found on the Mocha Memoirs site by clicking here, but one word of warning. You may be requested to verify that you’re over 18 years of age. So that’s one more than the games needed to win the World Series, but it was an almost last-minute thing — and this in spite of a guidelines admonition that it would be a good thing to submit early. But that’s how it goes. And none of the poems were haiku either (there was one shadorma), but they don’t have to be, the constraint being only that submissions be short poems or prose less than 1000 words. And for more than that, well, check out posts here for the original CTHULHU HAIKU with my story “The Farmer in the Well” (cf. December 4, October 7 2012). Popcorn Press is a fun little outfit that’s used work of mine in two other books too, HALLOWEEN HAIKU (see November 22 2011) and THE HUNGRY DEAD (December 30 2010), and I fully expect CTHULHU HAIKU II will be fun as well — regardless of whether the final line in “Bad Vacation (A Shadorma)” works for you or not. More information will be found here as soon as I get it. It took a while for the news to come out, but Thursday evening’s email brought word from Editor Mark Crittenden that TRUE DARK (cf. February 21 2012) has been published by Red Skies Press. “Journey into nightmarish landscapes, into the blackest midnight of your fear . . . into the TRUE DARK, 17 tales guaranteed to make you sleep with the light on.” My story here is a kind of dark sc ience fiction, zombie-esque tale called “Gas,” and, if Red Skies Press should sound familiar to long-time readers, I’ve had a couple of previous publications there, “Jessie” in DREAMS OF DUALITY (see February 13 2012, et al.) and “Ghost Ship” in TECHNO-GOTH CTHULHU (May 2, April 28 2013, et al.). 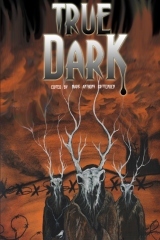 TRUE DARK, originally billed as “quite simply an anthology of the best of the best horror (open-themed),” is currently available from Createspace, Amazon, and Amazon UK, for which press here, here, or here respectively. Adele apparently has agreed: it’s a match made in heaven. One week and counting ‘til Halloween and Untreed Reads Publishing has announced a celebratory sale through the end of October, including selected full-length titles for $2.99. My bird in this bush is a story, “Appointment in Time,” which is the lead-off selection in YEAR’S END: 14 TALES OF HOLIDAY HORROR. “Join 14 horror authors as they reveal the dark side of our end-of-year celebrations. 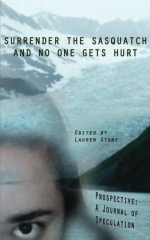 This anthology of a holiday gone horrifyingly wrong contains stories by James S. Dorr, Richard Godwin, Nicky Peacock, John Stewart Wynne, Steve Shrott, Leah Givens, George Seaton, Kathryn Ohnaka, Jeremy K. Tyler, Betsy Miller, Byron Barton, Steve Bartholomew, Ali Maloney and Foxglove Lee.” Granted it’s aimed toward the end of the year, but the chills are good for the entire Halloween to New Year’s Day holiday season. Moreover, while it can be ordered through Untreed Reads’s store, the sale price is offered at Amazon, Barnes & Noble, and Apple’s iBookstore as well. For more information, press the link here. Also, though exclusively at the Untreed Reads site, all stand-alone short story titles are being offered at $0.50 each, including two by me, I’M DREAMING OF A. . 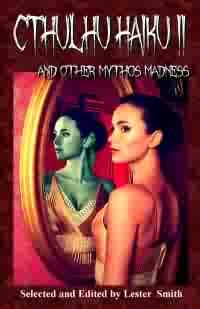 ., an also holiday-themed chiller but this time for Christmas, and VANITAS (a third Untreed Reads title by me, the novelette PEDS, remains priced at $1.50). For more info or ordering on these, press here. (Hint: once there, don’t look for books through categories, but enter “James Dorr,” or other author or title of choice, directly in the “Enter keyword here” box on the upper left). “And here is a read for you just in time for Halloween.” So begins Christine Rains’s blog for today which is featuring THE TEARS OF ISIS, including a blurb, a bio of me, and a very nice review by Christine. “A well written collection of short stories to chill you to your core.“ To read the whole review click here, but a word in the interest of full disclosure. Christine is a member of my writer’s group and a personal friend and, just to be completely honest, in the review which also appears on Amazon’s page for THE TEARS OF ISIS she gives it only 4 stars out of 5 ;-). So reads the rollout of Horrified Press’s NIGHTMARE STALKERS & DREAM WALKERS (cf. September 23, 20, et al.) on Lulu, edited by Suzie Lockhart and Bruce Lockhart 2nd. What more can one say? My dozer in this dormitory is a tale called “Flesh,” about . . . well . . . flesh and why, in a dream, a man is told that he needs to have more of it. On his body, that is — he needs to get fat. To find out more, a print copy of NIGHTMARE STALKERS & DREAM WALKERS can be obtained by clicking here while, for an electronic edition, click here. Walking home from the library across a wooded part of the university campus I found myself greeted by the cawing of crows which, hereabouts, is a true sign of fall. Crisp air. Football. And Halloween coming! So it’s an appropriate thing as well that various horror books are being released these next few weeks. The one today is Grey Matter Press’s anthology SPLATTERLANDS (cf. October 12, September 17, et al. ), but only exclusively on Kindle on Amazon for the time being. “After many long months, our collection of personal, intelligent and subversive horror with a point that seeks to return to the essence of the original Splatterpunk movement has arrived. Going beyond simply gore for the sake of gore, we introduce to you, SPLATTERLANDS.” It is my understanding that a print edition will be out at a later date, for which keep posted. My tale in this is called “The Artist” and is what I would consider a noir crime story. For more detail, including a table of contents with story-by-story synopses and information on Grey Matter Press’s special “Read ‘Til You Drop Sweepstakes,” readers can press here, or to order the book directly press here. Grey Matter Press also invites people to check out its Facebook page by pressing here. Also today, there’s a new 5-star review of THE TEARS OF ISIS on Amazon, courtesy of horror writer Dustin LaValley, for which I have the deepest appreciation. Praise by one’s peers is always the greatest! To see for oneself one need only click here. Today is the day for our visitor’s pass to Kate Hill’s HAUNTED LIBRARY, a collection of profiles of books each day of October until Halloween. Once in the door, we can peruse all the authors in the Paranormal Section by clicking here or, cutting specifically to not just THE TEARS OF ISIS but my recommendations for the best classic horror novel and movie here — aside, of course, from the stories in my own book. And while we’re about it, we can also visit librarian Kate’s blog, specific for today, the 21st, by pressing here. Find out “what’s the sexiest paranormal creature” — as if you don’t already know what I’ll say. But as if even that weren’t enough, there’s also Kate’s original interview of me on August 13, still findable by pressing here. So how will your New Year be? To help plan it out now, check Lulu by pressing here or, to compare that with other formats, Apokrupha’s site for DARK BITS is here. “SURRENDER THE SASQUATCH AND NO ONE GETS HURT is the seventh installment of PROSPECTIVE,” the back cover blurb begins. “Continuing the tradition of blending poetry and fiction with cryptozoology, many of the pieces explore the animalistic traits of man, and a return to the freedom of nature, whether it is retreating to the woods or accepting one’s true self.” And there it was, adventuring itself to my mailbox this morning, the latest issue of PROSPECTIVE: A JOURNAL OF SPECULATION (see August 22, et al. ), noted for its quirky past issues on Angels and Sirens and Cthulhu Love Stories, and other such exotic fare. This issue has one poem of mine called “A Slice of Cheese,” having to do with a family picnic in the forest — and what was found afterward. Edited by Lauren Stone, PROSPECTIVE: A JOURNAL OF SPECULATION is published by Loyal Stone Press and sometimes issues seem hard to find. For this one, however, as well as guidelines for their winter issue (on the subject of “A Tradition as Old as Kwanzaa”), one need but press here.